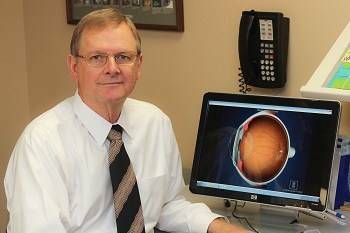 Born in nearby Smithville, Dr. Williams came to Americus to establish the eye care practice in 1970. Prior to returning, Dr. Williams served as a captain in the U.S. Army Medical Corp. He is happily married to Sheila and they have 3 daughters, 1 son, and 10 grandchildren. Dr. Williams and his wife are members of Central Baptist Church where they have actively served since 1970.